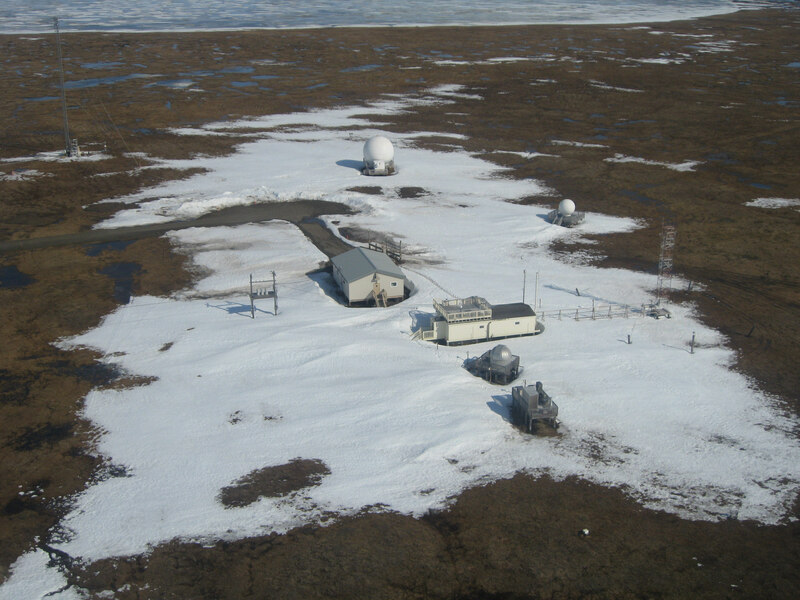 Last week, scientists were pulling together the latest data for the National Oceanic and Atmospheric Administration’s monthly report on the climate when they noticed something strange: One of their key climate monitoring stations had fallen off the map. All of the data for Barrow, Alaska — the northernmost city in the United States — was missing. No, Barrow hadn’t literally been vanquished by the pounding waves of the Arctic Sea (although it does sit precipitously close). The missing station was just the result of rapid, man-made climate change, with a runaway effect on the Arctic. 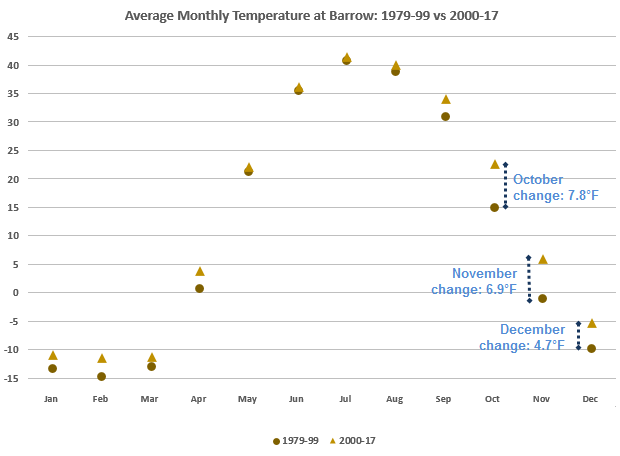 The temperature in Barrow had been warming so fast this year, the data was automatically flagged as unreal and removed from the climate database. It was done by algorithms that were put in place to ensure that only the best data gets included in NOAA’s reports. They’re handy to keep the data sets clean, but this kind of quality-control algorithm is good only in “average” situations, with no outliers. The situation in Barrow, however, is anything but average. If climate change is a fiery coal-mine disaster, then Barrow is our canary. The Arctic is warming faster than any other place on Earth, and Barrow is in the thick of it. With less and less sea ice to reflect sunlight, the temperature around the North Pole is speeding upward. Changes in the Arctic extend beyond sea ice. Vast expanses of former permafrost have been reduced to mud. Nonnative species of plants, types that grow only in warmer climates, are spreading into what used to be the tundra. Nowhere is this greening of the Arctic happening faster than the North Slope of Alaska, observable with high-resolution clarity on NOAA satellite imagery. At no place is this more blatantly obvious than Barrow itself, which recently changed its name to the traditional native Alaskan name Utqiagvik. In just the 17 years since 2000, the average October temperature in Barrow has climbed 7.8 degrees. The November temperature is up 6.9 degrees. The December average has warmed 4.7 degrees. No wonder the data was flagged. The Barrow temperatures are now safely back in the climate-monitoring data sets. Statisticians will have to come up with a new algorithm to prevent legitimate temperatures from being removed in the future. New algorithms for a new normal. Angela Fritz is an atmospheric scientist and The Post’s deputy weather editor. She has a B.S. in meteorology and an M.S. in earth and atmospheric science.